“superior.” He received his commission before he was 19 years of age and was one of the youngest officers in the Army. Other information: “Lt. 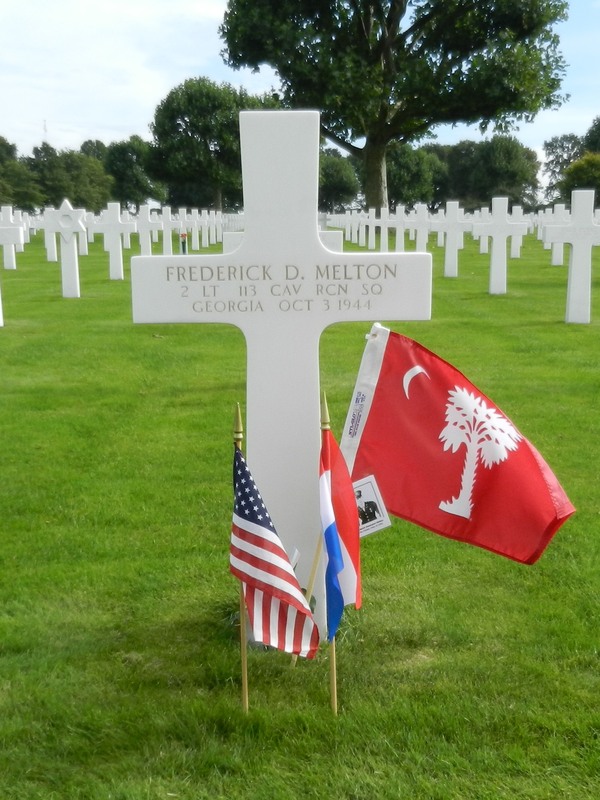 Melton, one-time cadet at the Citadel, was killed in action in Germany, just across the Holland border, on Oct. 3, 1944. – Source: Letter from Mr. Quimby Melton to Gen. Summerall, Aug. 25, 1948. Courtesy of The Citadel Archives and Museum.Lt. 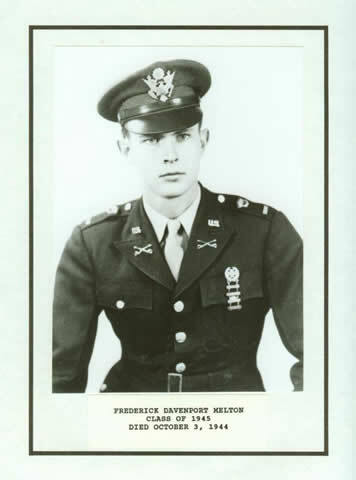 Frederick D. Melton was killed on 3 Oct 1944 while leading his men in a dismounted attack in the German village of Havert. Lt. Melton was hit by small arms fire and died instantly. – Source: The Saga of the Red Horse, Chaplain Ben L. Rose, 1945.